Many tradies often make the mistake of attempting to stand for everything. They want to be all things to all people. The problem is when you attempt to be known for everything you don’t become known for anything. When you are not known for ‘anything’ it is guaranteed you will be competing on ‘price’ against a large number of competitors. Firstly, look at what area of your industry you may be able to specialise in. This is usually an area that is being under serviced in your region and an area that you can generate consistent profitability. For example, specialising in small bathroom and kitchen renovations establishes your business as ‘the expert’ in your area. Over time through delivering consistent high quality service you will be known as the ‘go-to-expert’, therefore increasing quality leads and increasing conversion rates, which will reduce marketing costs. In our research with business owners we have found that those that specialise are twice as likely to be happy that they are achieving their personal goals & their level of income! Secondly, identify your Ideal Client. It is critical that you identify which clients within your area of speciality are your most profitable. These are your profiled ideal clients that you MUST target with your sales & marketing strategies. Work out what is important to them, and communicate how you are the experts in solving their problem. You should have the skills, systems and experience that allow you to solve their problems profitably. For example, if you are targeting professional couples living in the inner city, you must understand that concise communication, high quality and on time delivery would be extremely important to this very time-poor market. Price is not as important as being professional. 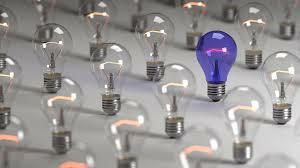 Your ‘USP’, or Unique Selling Proposition, is what makes your business different and stand out from the pack. When someone asks what you do, your USP should communicate that you are an expert in your area through reinforcing your credibility and technical ability. So, how do you develop your USP? 1. What does my ideal client value – on time, flexibility, solution options, professionalism, consistent communication, transparency? 2. What MUST I do to consistently deliver value – always clean up after job, call 30 minutes before arrival, deliver quotes within 24 hours, provide client job status reports? 3. What are the values/culture required of my business to ensure we consistently deliver value – integrity, ownership, customer first? 4. What guarantee can I provide that shows we are confident in consistently delivering on our promise? Once you have developed your USP – communicate it on your website, promotional material, and proposal/quotation documentation. Businesses that consistently deliver on their USP over a long period of time generate great ideal client leads, do not compete solely on price, have high conversion rates, and are the most profitable. check out our Impact Program CLICK HERE or Business Academy CLICK HERE.